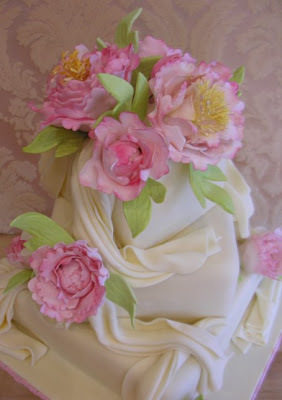 Sedona Cake Couture: Sedona Cakes - Peony Style! It seems that our brides are in love with peonies this spring! This wedding cake is adorned with hand-made sugar peonies. 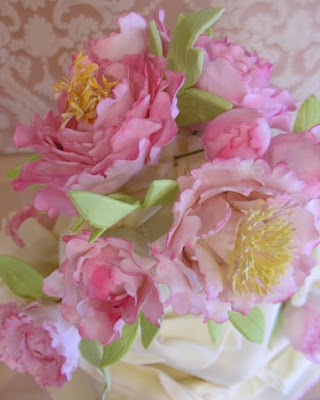 So many of our wedding cakes here in Sedona have been dressed with peonies lately. It's a trend that is still hot!